The local farmer’s market is a very good resource, however, because it helps you learn about what kinds of veggies are grown on local farms. It also puts you in contact with others who can help give you guidance as your start planting your own survival garden. You’ll want to start out in kindergarten, so to speak. 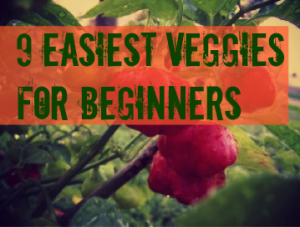 Here are a 9 of the easiest vegetable to start out with. them some room. 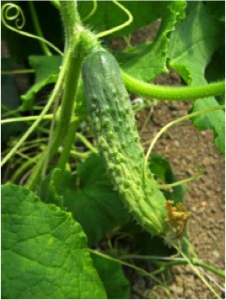 Avoid planting cucumbers until all danger of frost has passed. Recommended varieties are: Diva, Straight Eight and Salad Bush Hybrid. 2. Carrots – Delicious and chock full of essential nutrients like beta-carotene, carrots are also pretty darn easy to grow. Plant carrots early in the spring, as soon as the soil can be worked. Hint: Carrots love sandy loam. 3. Tomatoes – All you need for thriving tomato production is a little water and a lot of sun. Tomatoes are a nutritious, fragrant addition to your garden, and these vigorous plants will grow and fruit all summer long. The easies way to get started with tomatoes is to buy starter plants at your local nursery or home improvement store. Check out: Big Boy, Beef Steak and Roma varieties. 4. Bell Peppers – Just like tomatoes, bell pepper plants like a lot of sun and are widely available at retail nurseries. Bell peppers add zest to your cooking, but are very light on heat, a plus for many mild eaters (try jalapeños if you want some kick). Try these varieties: California Wonder, Gypsy and Big Bertha. 5. Green Beans – ”Broad beans,” as they’re sometimes called, are one of the easiest vegetables to cultivate. While “bush beans” are more productive, broad beans are easier to manage. Try Kentucky Wonder and Contender varieties. 6. Squash – Like cucumbers, squashes are very prolific, so you’ll only need a couple plants in the garden at most. If your garden space is limited, you can train squash to grow vertically on a trellis. Recommended varieties: Zucchini, pattypan, acorn, and butternut. 7. Rosemary – If you live in a sunny or dry climate, rosemary can be an extremely hands-off herb to grow in your garden. Vigorous and fairly cold-hardy, rosemary is a source of fresh flavors all year long. 8. Potatoes – Potatoes are highly versatile, and can be grown just about anywhere. You don’t even need to buy a plant to get started, simply bury a potato. 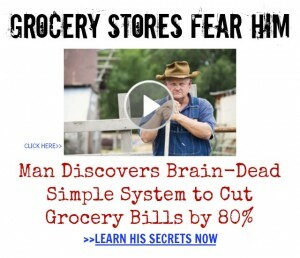 You can get this process started by storing your potatoes in a cool dark place until they begin to sprout. 9. Radishes – Though you may not eat them very often, radishes are an excellent starter veggie — because they grow super-fast. 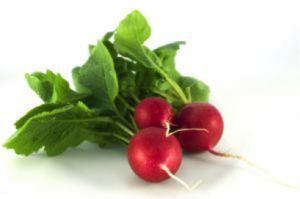 Radishes require moist, nutrient rich soil. Sow seeds in early spring and throughout the summer and into fall. What Are Your Best Tips For Beginner Gardeners?